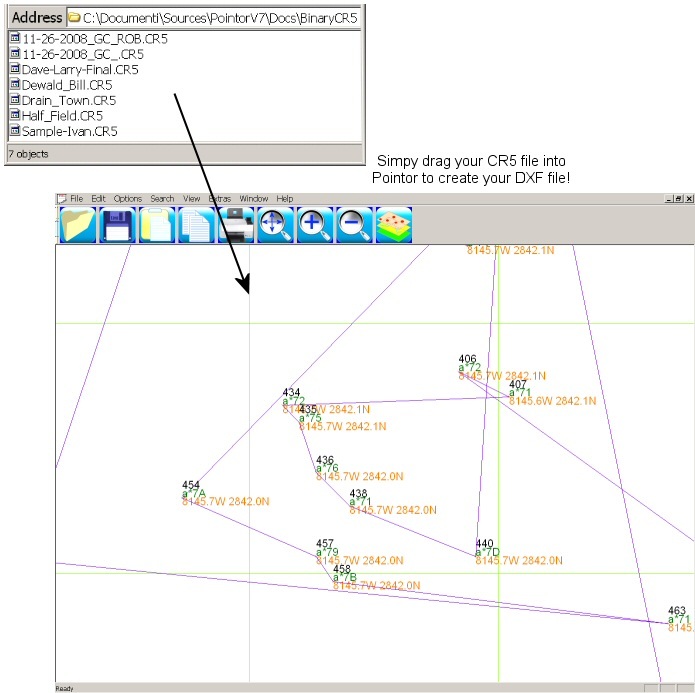 CR5 GIS format to DXF format. Once you have your Pointor created DXF file in the main window (and it is a matter of seconds!) you can view it, modify layers and other settings, and save it to be read into your favorite CAD program. You can even copy and paste the image into your word processing document if you have to write reports for example. The program can also be used to create CR5 files from DXF files. CSV File to DXF File conversion. From Excel to Dxf in two mouse clicks!